Bernie Sanders slams Israel for eliminating rioters, ignoring the fact that all those eliminated were confirmed terrorists. 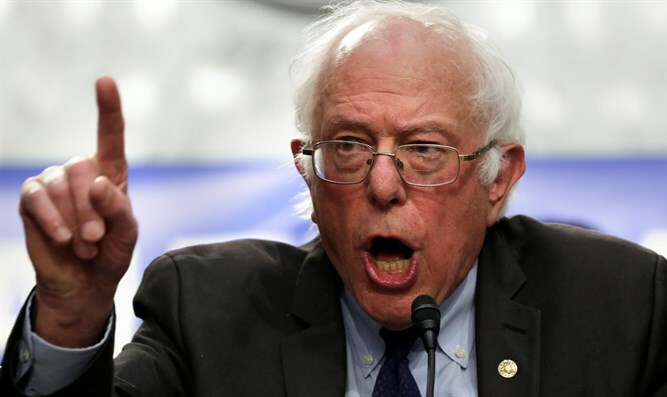 Independent Vermont Sen. Bernie Sanders slammed Israel for eliminating terrorists rioting on the Gaza-Israel border on Friday and threatening to force their way into sovereign Israeli territory..
Sixteen terrorists were eliminated, ten of whom belonged to Hamas' active terror wing. Sanders said he does not accept the Israeli government's explanation of the eliminations, claiming, "You have tens and tens of thousands of people who are engaged in a nonviolent protest. I believe now fifteen or twenty people, Palestinians, have been killed and many many others have been wounded. So I think it's a difficult situation but my assessment is that Israel overreacted on that." "The bottom line here is that the United States of America has got to be involved in dealing with the terrible tragedy in Gaza..... We're looking at the need for the international community led by the United States to deal with that situation. Gaza is a disaster right now... We're going to continue to see those kinds of demonstrations and protests unless the world community recognizes the problem in Gaza and brings the Israelis and the Palesitnians together to start addressing those problems." Previously, Sanders tweeted, "The killing of Palestinian demonstrators by Israeli forces in Gaza is tragic. It is the right of all people to protest for a better future without a violent response." However, the problems in Gaza can be laid squarely in the face of Hamas, which has stolen billions in aid money and goods to increase its weapons store and build attack tunnels into Israel, leaving Gazans destitute. The protest are meant to distract the Gazan public from the real cause of their troubles as well as substitute for the tunnels which Israel has neutralized, according to pundits. In addition, the Gaza rioters rioters were not unarmed. Some burned tires and threw firebombs and rocks at IDF soldiers stationed near the border. Others attempted to plant explosives under the guise of protests. They also attempted a shooting attack in northern Gaza. No one was shot at unless they approached the fence in an attempt to breach it.